Key EU institutions are divided over the latest multiannual budget proposed by the Cyprus-led Council of the European Union, which seeks “savings” across all budget accounts, including external assistance. The proposal, which was released Oct. 30, calls for €50 billion ($64.8 billion) worth of savings across the six sections of the bloc’s 2014-2020 multiannual financial framework. It sets a €64 billion cap on the Global Europe account, which covers external action and development spending. This so-called negotiating box is expected to serve as basis for further negotiations on the budget, including a scheduled meeting of key stakeholders in November. Cyprus’ proposed cuts are lower than those pushed by countries like the United Kingdom, Sweden and Germany. Both the European Commission and the European Parliament, however, criticized the size and content of the proposal. “We strongly oppose this development as it will inevitably put in jeopardy the future of certain key policies and programmes. We feel this will hamper the role of the EU budget as an instrument to generate economic growth and jobs,” members of the parliament Reimer Boege and Ivailo Kalfin said. 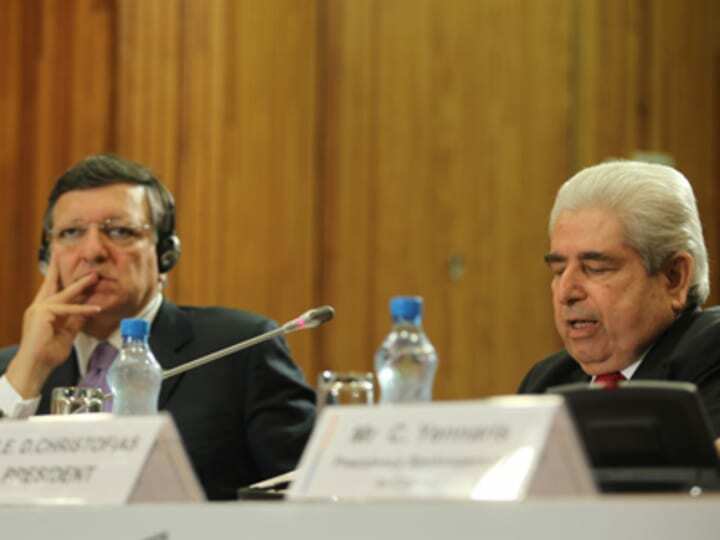 The parliament and the Council share legislative duties in approving policies such as the multiannual EU budget. EU budgetary negotiations are closely watched by the development community, whose members are pushing for a robust development budget. ONE Brussels, in particular, supports the Commission’s proposal, which provides $51 billion as funding for development programs. The group, however, estimates that this budget could see €10 billion in cuts. Development ministers from a number of European countries are also behind calls to protect the aid budget from cuts. Danish Minister for Development Cooperation Christian Friis Bach, for instance, said such cuts would be “detrimental” to Europe and should be abandoned.